ST. SIMONS ISLAND, GA – Kevin Kisner ended a year marked by second-place finishes with his first PGA Tour victory Sunday at Sea Island. Staked to a three-shot lead going into the final round of the final tournament of the year, Kisner ran with it. He doubled the size of his lead at the turn by going out in 30, and he breezed home with a 6-under 64 to win by six shots over Kevin Chappell. 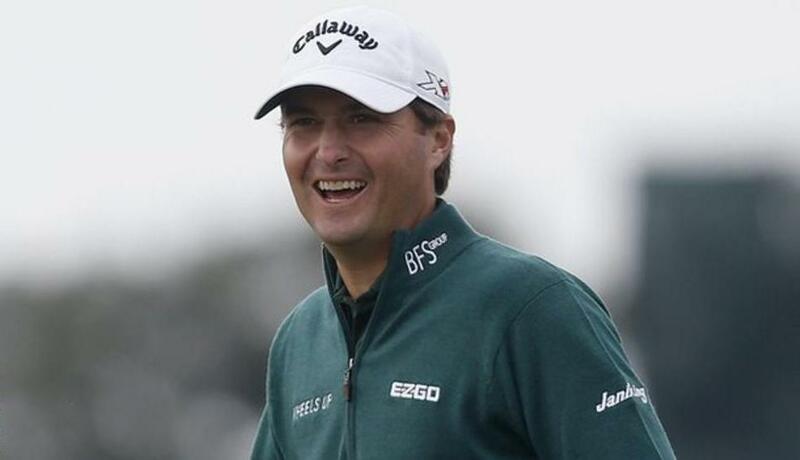 Kisner became the sixth first-time winner in the fall start to the new season, though this was hardly a surprise. The 31-year-old from South Carolina played so well this year that he rose to No. 25 in the world. He just didn’t win. He lost in playoffs at Hilton Head, Sawgrass and the Greenbrier, and he was a runner-up for the fourth time in a World Golf Championship two weeks ago in Shanghai. Kisner rolled in a 6-foot birdie putt on the second hole, and no one got closer than four shots the rest of the way. He tapped in for par on the 18th hole to shatter the tournament record with a 22-under 60. Better yet was seeing year-old daughter Kate running toward him. If there was a turning point, it would have been on the par-5 seventh hole when Kisner’s second shot landed in a native bush in the dunes short of the green. He chose to hammer it out of there and moved it about 5 feet, then chipped 8 feet by the hole. Graeme McDowell missed his 10-foot birdie putt and Kisner holed his for par. His lead stayed at four shots, and Kisner followed with a wedge to 8 feet for birdie on the next hole, and a 30-foot birdie putt on No. 9 to go six clear. The final three hours, if not the entire day, was a battle for second place. McDowell, coming off a victory in the OHL Classic at Mayakoba last Monday in Mexico, lost out when his approach to the 16th buried so badly he had to clear away sand just to identify it. He swung as hard as he could, only for the ball to roll back into his foot print. He did well to make bogey, though Chappell made birdie on the hole for a two-shot swing that carried him to a 67 and the runner-up finish. McDowell closed with a 67 and finished seven shots behind. The other big winner was Freddie Jacobson, who missed the last four months of last season when his 7-year-old son was diagnosed with a heart defect and had to go through open-heart surgery. Jacobson was given a major medical extension and had to earn $326,111 to secure his card. He holed a long birdie putt on the 18th for a 67 and earned $228,000 this week, pushing his season total to nearly $356,000. Kisner goes into the six-week break atop the FedEx Cup standings and eager for his next chance. The victory allows him to start 2016 one week earlier in the Hyundai Tournament of Champions at Kapalua. David Hearn of Brantford, Ont., posted a score of 69 to end tied for 9th at 10 under.